Natural Breast Augmentation using your own fat. Everyone knows that breast augmentation is one of the most popular plastic surgery procedures around the world and also in Cleveland, Lyndhurst, OH. What’s is not as well known is that there is a new option for breast augmentation that involves using one’s own tissues to add volume to the breasts. It is possible to enhance the breast size using fat removed by liposuction from another area where it is not wanted. This concept is not entirely new but until recently was considered contraindicated because of the concern that fat grafting to the breasts would cause small areas of calcification that would interfere with mammography and make it difficult to tell if there was breast cancer present. According to recent studies however this is much less likely than was originally thought and surgeons are now reporting good results with fat grafting to the breasts and other areas from around the world. New techniques that have improved the success of the procedure cause less calcification. Cleveland plastic surgeon, Dr. Rodney Green has been using this technique in many areas of the body to add volume selectively to the lips, other areas of the face, buttocks, etc.. He is now applying this technique to the breast as well. He has used this technique not only to add volume to the breast, but also to hide breast implants that are palpable in very thin people. Dr. Green thinks that this is the best way to correct ” rippling” that sometimes occurs in thin people with breast implants. He has also used the technique to correct asymmetry where one breast is larger than the other, and also to improve the results of breast reconstruction after breast cancer. The technique of fat grafting is fairly simple conceptually. What is done is that the fat is carefully “harvested” from an area where there is an excess. This is done under lower suction pressure than usual for liposuction. Sometimes this means only a small amount of fat is harvested and this can be even done in the office under local anesthesia. Other times larger amounts of fat are needed, such as when buttock augmentation is required. This is done under general anesthesia in the operating room. The fat is then prepared by removing the fluid and damaged fat cells so that only intact fat is injected. Special blunt needles are used to carefully place the fat as thin “threads” of fats in small tunnels in the desired location. This allows the fat to “take” as a graft and survive in the new location permanently. 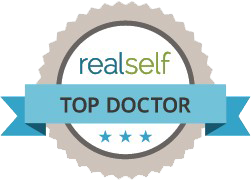 Dr. Rodney Green is finding this modality are very useful addition in helping my clients achieve their desired results both for aesthetic surgery purposes as well as reconstructive purposes.